Two graduates of MSC now teaching at Col. Lauro D. Dizon Memorial National High School (CLDDMNHS) were recently awarded the Golden Laurel Achievement Awards. Dennis Gutierrez graduated from MSC High School in 2004 and finished BS Education at LSPU, San Pablo City campus. He was awarded Chief Adviser of the year. 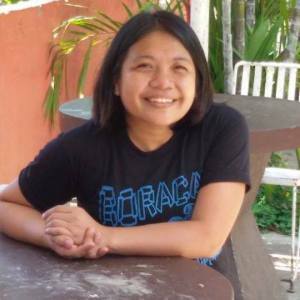 Lea Capule is a two-year Office Management Course graduate in 1996 and she also enrolled for another year to finish the 3-year office management course. She earned her education degree at LSPU, San Pablo campus in 2003. Lea was awarded Mentor of the Year (teacher to student category). Another MSC High School graduate, Rainzel Atienza-Obina was also a nominee in the Mentor of the Year (teacher-teacher category). 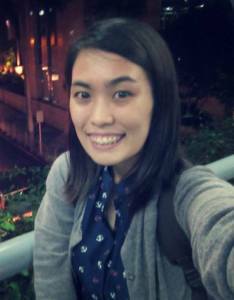 She graduated from MSC High School in 2006 and from LSPU for her BS Education degree in 2010. The Golden Laurel Achievement Awards is an annual program of Col. Lauro D. Dizon Memorial National High School which started in 2011. Categories include: Mentor of the Year (teacher – teacher and teacher-student), Adviser of the Year, Chief Adviser of the Year, Most Innovative Teacher, Coordinator of the Year and Lifetime Achievement Award. Candidates are nominated from each year level and from among the nominees, the awardees are selected thru votes from all faculty members, department heads, and the principal. The awardees received, plaques, cash prizes and gifts. Congratulations, Lea Capule, Rainzel Atienza, and Dennis Gutierrez! MSC is proud of you! 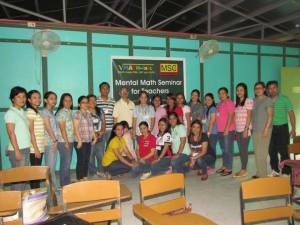 This entry was posted in Alumni, College, High School, MSC and tagged CLDDMNHS, Col. Lauro D. Dizon Memorial Natinal High School, Dennis Gutierrez, DIzon High, Golden Laurel Achievement Award, Golden LAurel Achievement Awards, Lea Capule, Rainzel Atienza Obina on November 18, 2014 by Jose Adonis Duma. CARD or the Center for Agriculture and Rural Development was founded in 1986 as a social development organization has now grown into the country’s microfinance leader. It offers microloans to support the livelihood activities of poor women and it also initiates programs in education, health, and agriculture. Today CARD has expanded to many institutions, including a microfinance organization, a bank for small and medium enterprises, an insurance agency, a leasing company, a pharmacy, and many others. Collectively these companies are known as CARD MRI ( CARD Mutually Reinforcing Institutions ) . MSC Institute of Technology has been a reliable provider of IT knowledge workers to CARD MRI, especially to the company tasked to support the information and communication technology requirements of the group, the CARD MRI Information Technology Inc. (CMIT). The current CMIT President and Vice President are MSC alumni. 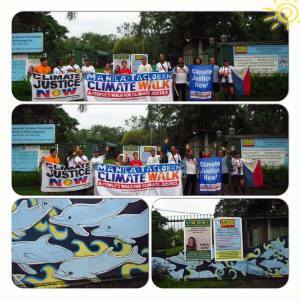 VYP-MSC Institute of Technology played host to an environmental group currently conducting the Manila to Tacloban Climate Walk – a people’s walk for climate justice. When MSC started offering two-year courses, it also started a new trend in the way schools were promoted and advertised. 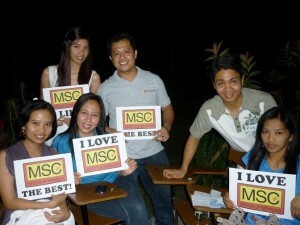 MSC went to private and public high schools and talked to all graduating students to introduce MSC and its courses. This included all former annexes of the San Pablo City National High School dispersed in different barangays. 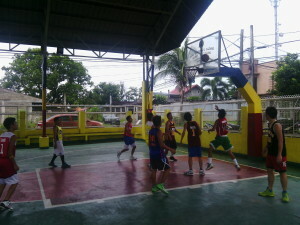 The MSC team also went to schools in Candelaria, Batangas, Liliw, and Los Baños. 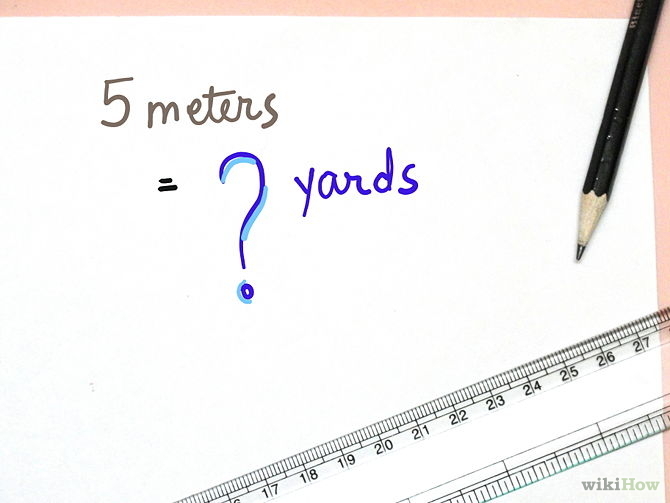 Since 1 yard = 3 feet, we can use the conversion factor 1 meter = 3.3 feet. We can simplify this computation using one of our favorite shortcuts, multiplying by 11. Remember that multiplying by 1.1 is simply multiplying by 11, and dividing by 10. If you asked me what years in school I had fun with, I have to say it would have to be my high school days. I couldn’t help but look back on my four years at VYP-MSC Institute of Technology and ask myself, “What made my high school memories worth remembering?”. This entry was posted in Alumni, High School, History, MSC, MSC Green Campus, News, Newsletter and tagged 25 MSC, 25 MSC Newsletter, 25th Foundation Day, a stop-over for Climate Walk, Converting meters to fee, Division by 125, Division by 25, Division by 250, Ednie Agulto, MSC Alumni Working in CARD, MSC Green School Campus, MSC's Firsts: First to do School to School Orientation on November 18, 2014 by mscadmin. I used to be a wallflower during the early part of my high school life. I was so shy and nervous but as time went by, I gained a lot of friends and experiences. I had a lot of experiences during high school that molded my personality. I even got to know myself better because of the school programs. It gave me the full effect of being in high school. There is so much more to it than grades and school work. The school gave us the chance to show our full potentials other than academics. We got the chance to join the school’s different clubs and organizations to hone our skills, talents, leadership and yet to discover abilities. I got the chance to be a big part of the school’s newsletter and student council, play Volleyball, sing in front of the crowd which I never did in my entire life, be part of the dance group, and a whole lot more. Staying after school for something you love to do give you a sense of pride and dedication to your school and while you’re there the memories you make and the people you meet are moments that you’ll never forget. Of course, these experiences won’t be worth remembering if not for the friends I gained during my stay in school. I remember some of my friends wrote at the back of my notebook during break time telling me stories about their crushes – I still have those letters. We used to exchange text messages at night about our favorite koreanovela that time – Full House. We formed our chairs in circle to make chatting about random things easier for us during lunch breaks or free time. I still have bunch of stories to tell but the pages won’t be enough for all those stories. How can I forget to give credit to our teachers and to the management for being awesome? You made learning fun and exciting for us. It wasn’t easy but it’s all worth it. Kudos to all of you! High school was an emotional roller coaster ride. I miss it and all the crazy things we did. It was amazing and I will look back on it fondly. 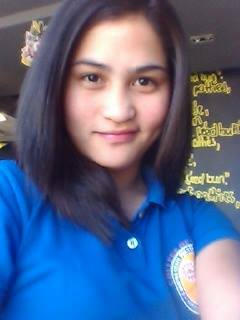 This entry was posted in Alumni, High School, MSC and tagged class 2007, Ednelyn Agulto, LSPU, msc high school, Tyche Consulting Limited Philippines on November 18, 2014 by Jose Adonis Duma. FREE Entrance/Scholarship Test starting December 4, 2014 (3:00 pm) and every Saturday (9:00 am), henceforth. VYP-MSC Institute of Technology, Inc. This entry was posted in College, Courses, High School, MSC, Scholarships and tagged Bookkeeping Course, Caregiving Course, Computer Tutorials, entrance exam, msc advantage, scholarship exam on November 17, 2014 by Jose Adonis Duma. Calling all MSC Alumni (high school, technical-vocational, computer short courses, Caregiving and Call Center courses)! 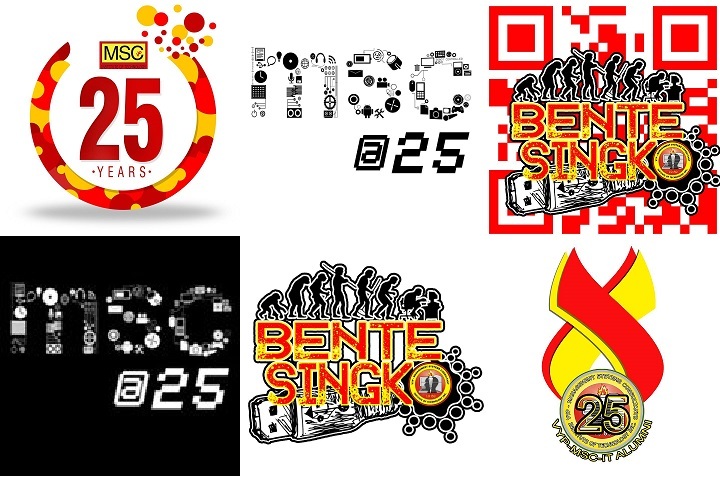 Here are the entries for the MSC Alumni Shirt Design Contest! Last September 25, 2014 VYP-MSC Institute of Technology celebrated its 2014 English month with the theme “Sharpening English Language through Global Competitiveness” wherein the students showed their talents and gifts through participating in different contests. The main objective of this program is to develop and enhance each student’s talent by building up their confidence to face the crowd. In June, 1995, MSC made another business decision and it packed all its belongings for the third time and left the Alvero compound along M. Paulino St., its home for four years. MSC transferred to the La Suerte building located along the bustling Rizal Avenue. Situated on the fourth floor, the main site of MSC (called MSC Main, for obvious reasons) seemed unreachable. The place had no elevators, so the four flight climb was an aerobic adventure. One meter is approximately equal to 1.1 yards. For practical purposes we can use this conversion factor. Here we can apply MSC 4 – Multiplying by 11 to quickly convert meters to yards. Walong taon na ang nakararaan nang ako ay mag- umpisa bilang isang butil ng buhangin. Isang buhangin sa napakalawak na baybayin; hindi napapansin at hindi alam kung paano palulutangin ang natatanging talento at galling. Remember that 25 is 100/4. This means we can multiply the number by 100, and then divide by 4. To multiply by 25, move the decimal point of the multiplicand two places to the right and divide the resulting number by 4. This entry was posted in About, Alumni, Events, High School, History, MSC and tagged 25 MSC, 25 MSC Newsletter, 25th Foundation Day, Converting Meters to Yards, Issue 13, MSC, MSC High School Celebrates English Month, MSC Origins VIII: transfer to La Suerte building, MSC T-Shirt Design Contest, Multiplying by 25 and 250 and 125, Stories from the Alumni: Hazel Soleta on November 12, 2014 by mscadmin. MSC held its Scout Investiture last September 26, 2014 with students ready to take their responsibility to the next level. Their fellow Girl Scouts and Boy Scouts, parents and godparents attended the commencement ceremony. The Girl Scouts Investiture was held first. Kyle Javier opened the program with a prayer followed by the colors; then singing of the Philippine National anthem. After that our very own principal, Ma’am Lerma Prudente welcomed the guests and of course the girls being invested to the new world of Scouting. After the warm welcome from the principal, the investing officers gave a little message then officially started the investing ceremony with the lighting of the big candles. This is followed by the lighting of the small candles by chosen scouts and cadets, and each one recited the Girl Scout Law. The investing officers started to invest each scout and cadet after the lighting of the candles. They made them recite the Girl Scout Promise and Law that served as their pass to the next level of scouting. They received new pins for their new chapter in scouting. All were very proud after receiving their new pins and wearing their own scarves put on them by their godparents. After the investing ceremony, the program proceeded with the celebration of Escoda Day. The Escoda Day celebration started with the Escoda Hymn sung by the newly invested scouts and cadets with their fellow scouts. After that, the brief information about the beloved founder of the Girl Scout, Josefa Llanes Escoda, was read by each leader. A few songs were also dedicated to her. After all of that, scouts and cadets walked in circle for their contribution that was put in the basket while singing the Girl Scout theme.The Girl Scout Investiture ended with a message from Tita Au Punzalan which was followed by the retiring of colors. After lunch is the start of the school’s class night. Excitement in the students’ eyes can be spotted. The program started with a demo on knot tying by Mrs. Rose Cleofe. She taught students some knots like; the basic, Square knot, Bowline, Sheet Bend, Two-half Hitches, Clove Hitch and Truckers knot. All scouts were enthusiastically minding their own knots. After the knot tying session, the scouts were given a chance to rest to be ready for the next game which was building a tower out of three long bond papers hosted by Miss Jinky Artillero and Miss Jhen Gonzales. All were serious in thinking on how to build one in just five minutes. In the end, the girl scouts won the game. Before the preparation for dinner, scouts were asked to prepare their own camp fire to be used for the camp fire session after scouts take their dinner. In the camp fire session, all were having fun in lighting their DIY mini camp fire. Pictures were taken and laughter filled the court. All were enjoying the night before they went to bed. In the morning, Girl Scouts had a Scouts Own; a service that is usually short, often lasting no longer than 15 minutes. They are made up of a mixture of readings, prayers, reflections and music. After this session, all scouts were permitted to go home, bringing with them the fun, lessons, and memorable moments during these activities. This entry was posted in High School, MSC, MSC Green Campus and tagged Au Punzalan, Boy Scouts, camping, Girl Scouts, investiture, Jhen Gonzales, Josefa Llanes Escoda, Kyle Javier, Lerma Prudente, Rose Cleofe on November 3, 2014 by Jose Adonis Duma.